Spain has a wonderful system of “Paradors,” that is hotels in every corner of the country. For some strange reason, I never stayed in one until this trip when I stopped in the town of Puebla de Sanabria, mentioned in the previous post. Many paradors are remodeled historic buildings. This one, however, is a modern facility. 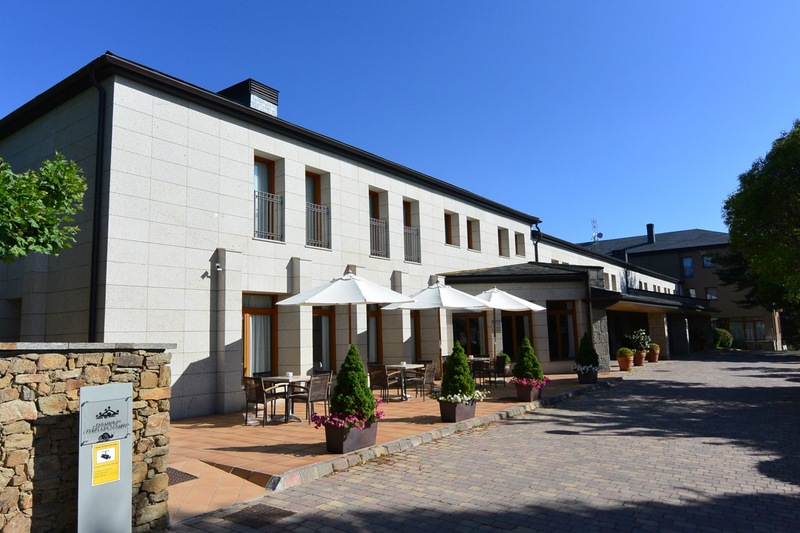 Parador at Puebla de Sanabria, Spain. Whether on holiday or a business meeting, you’ll find this place can accommodate you and/or your group. 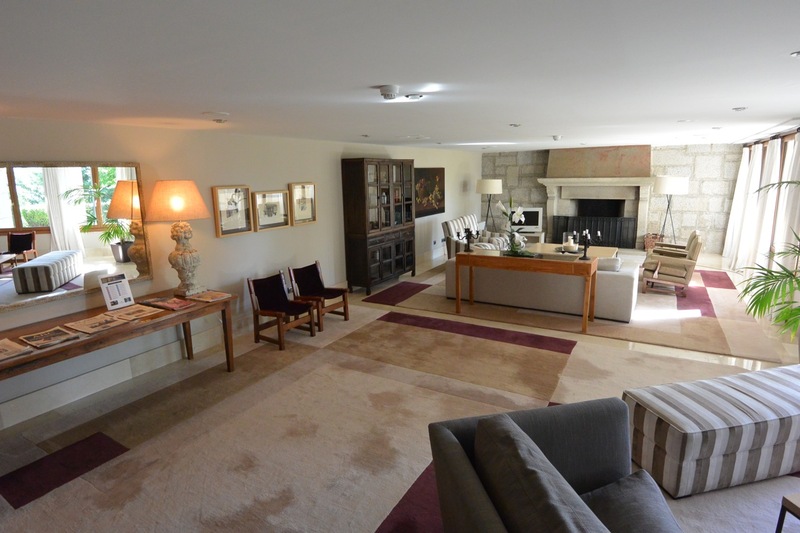 Lounge at Parador in Puebla de Sanabria, Spain. I stayed in a standard room, which was comfortable and had a view of the old part of town. 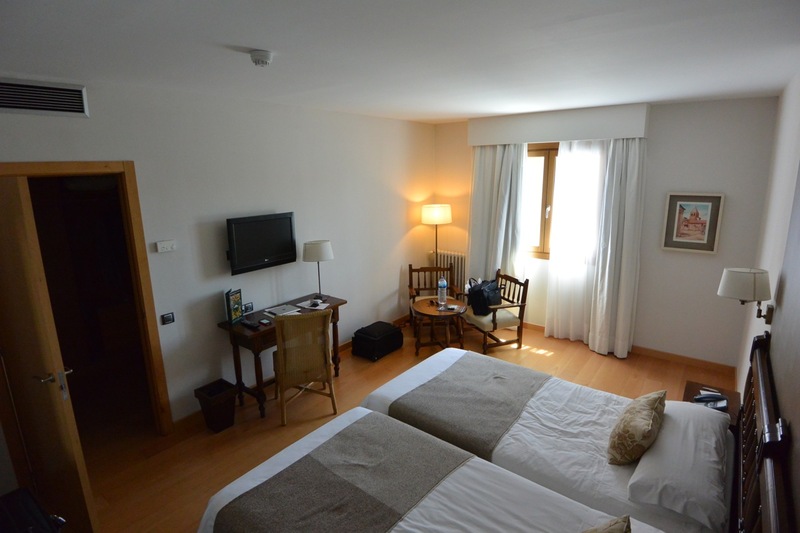 Standard room at Parador Puebla de Sanabria, Spain. Bathroom of standard room at Parador Puebla de Sanabria, Spain. 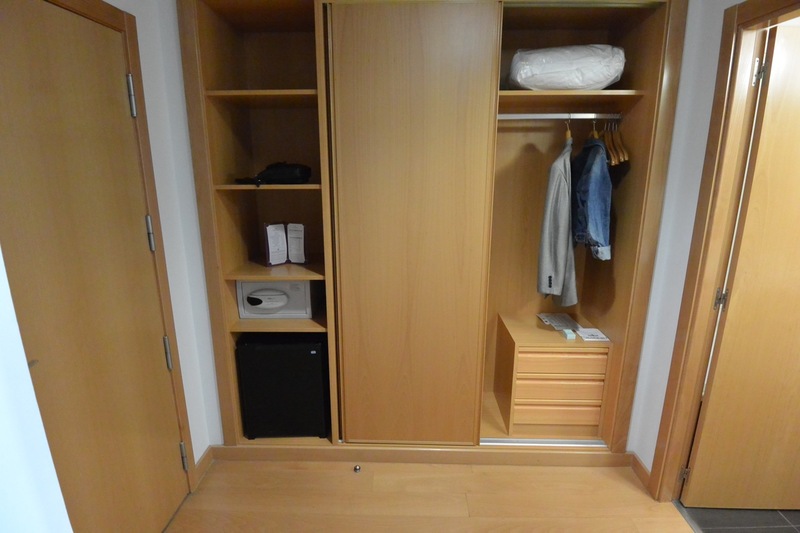 Closet in standard room at Parador Puebla de Sanabria, Spain. The price was a great value to stay here as it included a lavish breakfast buffet and parking, some of which was under cover. Staff are friendly and helpful. I’d be happy to try more of the paradors in the future.